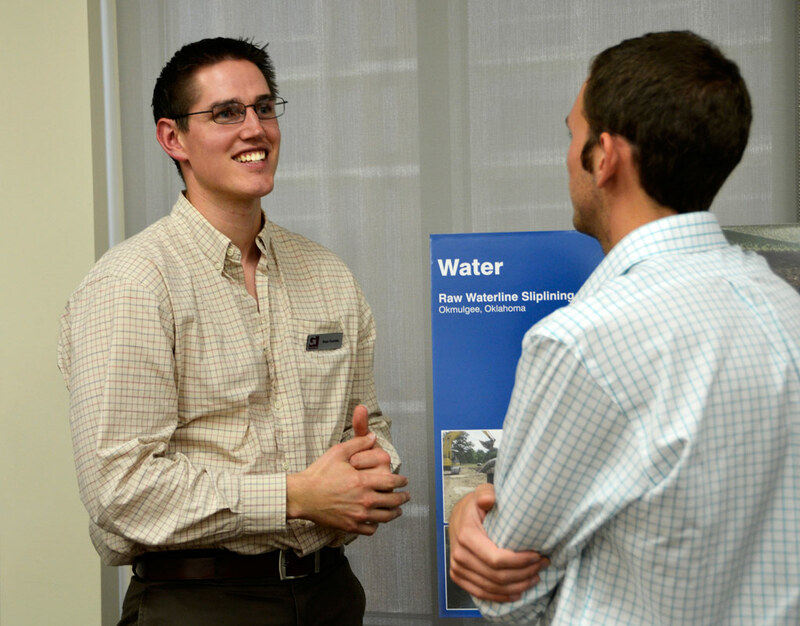 Project Engineer Ashley Pifer, PhD, serves in Garver’s Water Design Center at our Fayetteville, Arkansas office. She recently presented some of her PhD research at the American Water Works Association Annual Conference in Denver, Colorado. 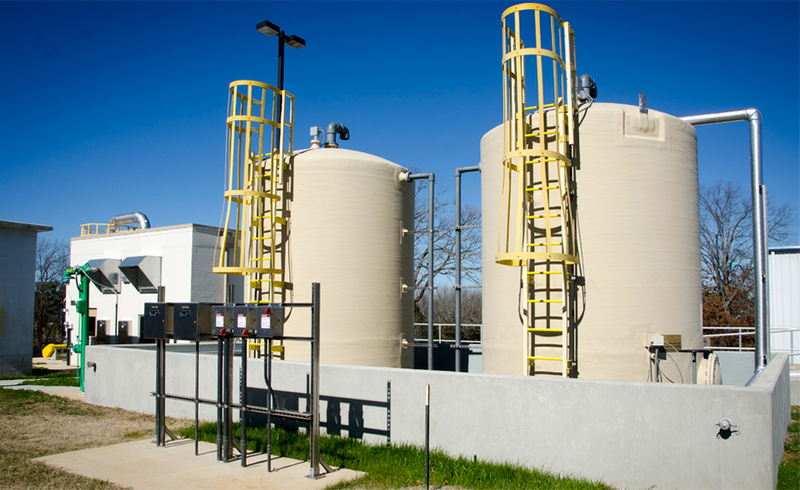 Alum storage tanks and chlorine disinfectant building at Searcy Water Treatment Plant. Her presentation focused on a comparison of UV- and fluorescence-based metrics that can be used to predict disinfection byproduct (DBP) formation in drinking water. These metrics are relatively inexpensive and easy to obtain and could be used to help drinking water utilities choose and optimize treatment processes to meet the requirements of the EPA’s Stage 2 Disinfectants/Disinfection Byproducts Rule. “I appreciated the opportunity to present my research to others in my field and to discuss it with some well-known researchers,” Ashley said. In March, another portion of Ashley’s PhD research, an investigation of the effectiveness of fluorescence parallel factor (PARAFAC) analysis for predicting DBPs in chlorine dioxide- and alum-treated waters, was published in the peer-reviewed section of Journal AWWA. An electronic copy of that article entitled “An Improved Chloroform Surrogate for Chlorine Dioxide- and Alum-Treated Waters” is available online for a fee, here. Evan talks to future engineers at an University of Oklahoma career fair. The article came as the result of collaborative research with another student, performed at the University of Oklahoma during Evan’s time as a graduate student and postdoctoral researcher. The research documented in the paper is the first step toward updating the wetting and drying algorithm within ADCIRC, which is a finite element hydrodynamic model that has been applied to a wide variety of coastal applications, and it has been used extensively to predict the effects of storm surge in the last decade. The IJNMF issue with Evan’s article is available online for a fee, here. A print version of this issue has not been made available yet. Garver congratulates our employees for their accomplishments and supports them in leading the way in their respective research fields.